I really love the Fancy Favor Die, its probably my favorite box/bag to make with the big shot. The fun scallopy edge at the top is probably my favorite part. And its easy to dress up with some designer paper. This is the new Be of Good Cheer DSP and it is my favorite Christmas paper that we’ve had yet. 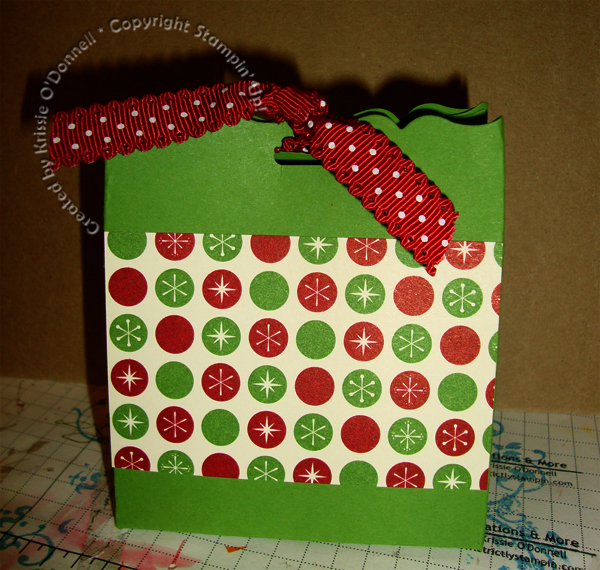 Accessories: Fancy Favor Bigz XL die & Big Shot, Slot punch (retired), Cherry Cobbler scalloped dot ribbon. ← Patio Party bundle when you join!